ATEK Water Systems is proud to be the Canadian distributor of AquaMatic Products. AquaMatic valves have earned worldwide recognition for their high quality and value in the water treatment market. Value includes low initial purchase price and lower cost of operation during the life of the product when compared with our competitors. Our valves are simple to maintain, and easily serviced by your maintenance staff. AquaMatic products have proven to be effective in a vast array of diverse applications. One of our largest markets is heatless regenerative air dryers where we are one of the preferred suppliers in this specialized industry. The AquaMatic valve controls air flow with one cycle every ten minutes. AquaMatic valves are available in a wide range of sizes from three-quarters of an inch to six inches, and are offered in metal or composite materials. These valves share characteristics of excellent flow rates at low pressure drops. Discover the technical benefits of AquaMatic products on your application. The AquaMatic VAV and V42 Series valves are constructed of cast iron and are designed for air (VAV) and water (V42) applications. A separate control chamber protects the diaphragm from line fluid and extends cycle life. Reinforced diaphragm of Buna N or Viton materials are pre-formed and stress relieved to maximize responsiveness and product life. 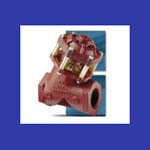 The valve is highly serviceable even while in line. A variety of options are available such as spring-assist open, spring-assist closed, flow control limit stop, normally closed, poppet position indicator, and high temperature EP or Viton seals. Aquamatic offer replacement parts their valves from the diaphragm repair kit, the internal parts kit, and replacement valve seats. Also offered are conversion kits to add a spring assist, a limit stop or position indicator as well as the necessary specialty tools required to disassemble and reassemble the valves. 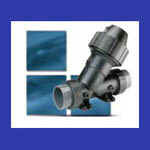 Click on the link below for the valve you are using. 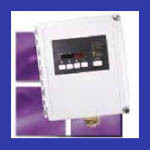 V42C 421 1" VAVC 421 1"
V42D 424 1-1/4" VAVE 424 1-1/2"
V42E 424 1-1/2" VAVF 425 2"
V42F 425 2" VAVG 426 2"
V42G 426 2" VAVH 426 2-1/2"
V42H 426 2-1/2" VAVJ 427 3"
V42J 427 3" VAVK 428 4"
V42K 428 4" . . .
V42L 429 6" . . . The AquaMatic K53 Series valve is designed for controlling the flow of most fluids including deionized water, salt solutions, and corrosive fluids such as acids and caustics that would rapidly corrode metal valves. These valves, constructed of corrosion resistant materials have all advantages of the AquaMatic� K520 series composite body valves. 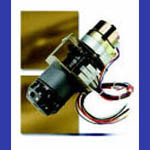 In addition, the K530 series valves boast a number of additional added features. The rugged construction employs strong corrosion-resistant glass-filled Noryl components. The Y pattern design permits high flow with low pressure drop. Separate flow and control chambers provide positive closing without springs. Dual O ring design on the shaft prevents leakage between the flow and control chambers and the cap is easily removed for maintenance purposes. True union end design with female socket weld connections provide easy installation and servicing. K531 K53 3/4" + 1"
K531 FS K53 3/4" + 1"
system. AquaMatic stager internal parts are constructed of durable, non-corroding, self-lubricating material for long, maintenance-free life. StagersAquaMatic 962 Stager Controls combine an AquaMatic stager with an Autotrol� 962 Series electronic control, mounted and prewired in a NEMA-rated enclosure. The Series 962 electronic controls provide sophisticated, demand-based water conditioning by combining a microprocessor with a flow meter to electronically monitor the amount of water used. Time-based and/or external signal initiation is also available as a standard feature.This fully programmable series of controls provide the ability to fine-tune the operation to meet the application requirements. 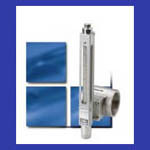 AquaMatic Flow Cell Flowmeters are direct-reading devices which take advantage of the dominant features of the orifice and area type flowmeters. 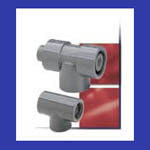 These flow meters are accurate to �2% of full scale in a compact design requiring less than six inches of piping. 540 Series PVC ejectors are available in onehalf-inch through two-inch sizes with female NPT threads or female socket ends for US pipe. Specific applications are brine draw, acid draw, or caustic draw. This economical ejector is engineered to draw two parts of regenerant fluid for each three parts of water.